Here is my latest competition/giveaway which should interest anyone with school-age or even Kindergarten-aged children in Singapore. I am giving away one Yubo Lunchbox, thanks to sponsor, My Miracle Baby. In hot and humid Singapore it is always a challenge trying to keep the kids' lunches palatable when they are sitting in a warm school corridor, in an even warmer school bag. I hate putting the kids' lunches into plastic ziplock bags that they throw away after one usage. This is highly wasteful, expensive and just doesn't do the environment any good. The obvious solution is an insulated lunch box/bag which keeps the food fresh and unsquashed and that has food containers which can be reused again and again. So...I am looking for something that will keep the food cool and in good shape, that is easy to wash, is made from a material that is safe to store food in, that is durable enough to be reused for years without breaking, and won't break the bank. It must also be attractive enough for the children to want to use. Unfortunately, I have found the perfect lunch box hard to come by here in Singapore. You can buy the bento box style Japanese lunch boxes, but I find the compartments too small or the wrong shape for sandwiches. And very expensive. Which is why you should be excited about the Yubo lunchbox. Selling for SG$55 at My Miracle Baby.com.sg, it's not a cheap solution, but it fits all the criteria. It is made from BPA-free plastic with modular inserts that snap together like lego. The custom-built icepack slots in under the food containers so it doesn't get in the child's way, and it is dishwasher-safe and easy to wipe clean. The lunchboxes are also made with food-safe, anti-microbial agent that inhibits the growth of bacteria. The modular food containers mean no more wasteful plastic bags and the food also has a longer life. The designs are also very cool, with something to appeal to any child. The rubber handle makes it easy for children to carry and they will no doubt want to show off their fun lunch box to their friends. Which feature or features of the Yubo Lunchbox make it safe for storing food? Please leave your email address in your comment so I can contact you if you are the winner. This competition is open to Singapore residents only. A maximum of eight entries per person, and please give me links to any blog posts, your twitter username etc. if you are already a subscriber please give me your username so I can give you the extra entry. I will be drawing the winner on 1st July. My Miracle Baby can't guarantee the design of the winner's lunch box but you will be able to specify if you want a 'girl' or 'boy' design. You will need to self-collect the lunch box. Also, by entering the competition you give My Miracle Baby permission to send to your email address their newsletter, which keeps you informed about their specials and all the great products that they stock. You can unsubscribe from the newsletter any time. I've been searching for a good lunchbox for my son who just started going to childcare.. Agree that most of the lunch boxes out there are dubious - not sure whether bpa-free and are often non-insulated. So in answer to the question "Which feature or features of the Yubo Lunchbox make it safe for storing food?" it's great that the Yubo Lunchbox is made of bpa-free plastic, and has a food-safe, anti-microbial agent that inhibits the growth of bacteria. It has a food-safe, anti-microbial agent that inhibits the growth of bacteria which makes it safe for storing food. Am following you on twitter, joined your facebook fan page and have subscribed to your blog too. Its the BPA-free plastic that gives the assurance. Just what I am looking for as my 4-year old starts big school in Aug and he takes his own lunch! The feature that makes it safe for carrying food is it's "food-safe, anti-microbial agent that inhibits the growth of bacteria". This Yubo lunchbox is simply gorgeous and my daughter's birthday is on 1 July ~ the date of this draw. Keeping fingers crossed that we'll get to win it. I'm already a fan of your Facebook page and have shared your link on my profile; subscribed to your blog, following you on Twitter and tweeted about the contest. The Yubo Lunchbox is great for storing food as it is made from BPA-free plastic; contains a food-safe, anti-microbial agent that inhibits the growth of bacteria; is durable, water-proof, and tear-proof as well as it is easy to wipe clean. Answer: Yubo lunchboxes contain a food-safe, anti-microbial agent that inhibits the growth of bacteria. im now following you on twitter and tweeted about this post. Cool! I am Eco supporter! This yubo lunchbox is BPA-free and contain a food-safe,anti-microbial agent that inhibits the growth of bacteria, making it safe for putting food for our precious ones. The lunchbox is made from BPA-free plastic. Also made with food-safe, anti-microbial agent that inhibits the growth of bacteria. I want this lunchbox! It is BPA-free, dishwasher-safe, easy to wipe clean, made with food-safe, anti-microbial agent that inhibits the growth of bacteria! Perfect for healthy eating!!! 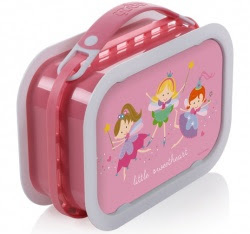 The lunchboxes are BPA-free and made with food-safe, anti-microbial agent that inhibits the growth of bacteria. The lunchbox is made from BPA-free plastic and is also made with food-safe, anti-microbial agent that inhibits the growth of bacteria. I love BPA free products. It is BPA-free, dishwasher-safe, easy to wipe clean, made with food-safe, anti-microbial agent that inhibits the growth of bacteria. Definitely gives parents a peace of mind, while our kids enjoy their food.